When Canadian authorities arrested a top executive of China’s Huawei Technologies in Vancouver, B.C., last December, the official explanation was that she was wanted by the United States because the telecom giant had violated sanctions on Iran. It also allegedly stole trade secrets from T-Mobile. Meng Wanzhou is Huawei’s chief financial officer and daughter of founder Ren Zhengfei. Even though the extradition has yet to take place, Beijing has retaliated by arresting two Canadian citizens. But behind this diplomatic standoff — and perhaps attempt to gain leverage in trade negotiations — is a contest over the future of the wired world. Unlike the internet pioneered by the United States, this time China is in the lead. At stake is more than treasure and the next generation of Big Tech but also national security and even victory or defeat in war. That’s because Huawei is a world leader in 5G, or the fifth generation of mobile networks. The technology means more than faster speeds to download videos, send texts or use devices. It could provide a revolutionary leap in cloud computing and “the internet of things,” such as medical devices, digital assistants and transportation systems. The United States, which ranked 20th in internet speed last year, is still poking along, relatively speaking, despite promises from carriers. If you’re a Chinese official, you could argue that Meng’s arrest and American pressure on allies to avoid using Huawei equipment is a cynical ploy to hobble a scrappy competitor. Huawei began in 1987 focused on telecom infrastructure for China’s interior. Now it’s the world’s largest telecom-equipment supplier and No. 2 (behind Samsung) in smartphones. It spends more on research and development than any company except for Google’s parent Alphabet. But the Trump administration and a range of American security analysts are concerned about Huawei’s potential to use its networks and equipment to spy or sabotage. As a result, the National Security Agency has prohibited AT&T and Verizon from using Huawei components in their 5G networks. The company denies any ties to the Chinese government. But its complex corporate governance structure makes that difficult to ascertain. Huawei does have contracts with the People’s Liberation Army, although that might be innocent enough — Boeing, for instance, supplies the Pentagon but also sells airliners to China. 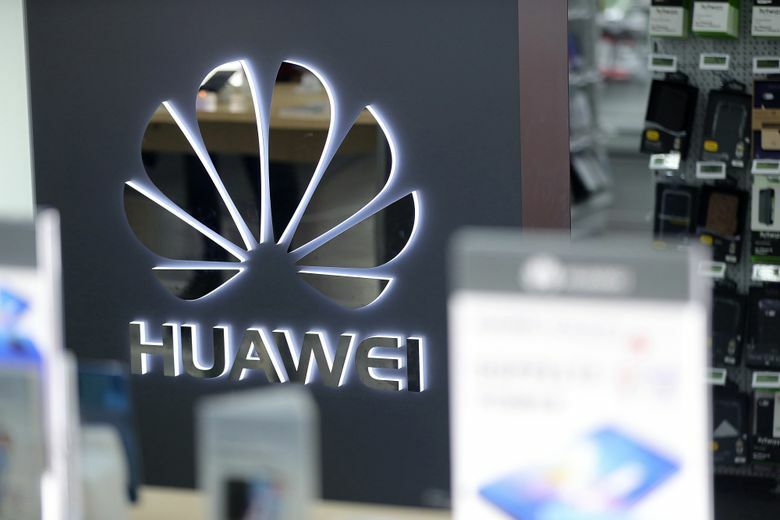 A RAND Corp. report stated that a select group of private companies such as Huawei are a powerful new force in Beijing’s evolving military-industrial complex and in its effort to build homegrown advanced industries with worldwide reach. Again, a Beijing apologist might say, “So what? This is a version of what America and other countries do.” And to an extent that’s true, but the opaque nature of China’s government and its “national champion” companies, and lack of a free press, is different from the relatively open societies of the West. With 5G and the market power of Huawei, the United States faces a challenge unlike anything in the Cold War with the Soviet Union. It goes beyond economic competition, too. As the latest Worldwide Threat Assessment of the U.S. intelligence community makes clear, cyberattacks and cyber espionage are growing threats. (To be fair, the United States has capabilities of its own). To spool this out in the worst case, Chinese cyberattacks could cause America’s hyper-advanced and hyper-expensive F-35 Joint Strike Fighters to malfunction. Who knows the back doors and Trojan horses in those ubiquitous chips from the global supply chain? Under this bleak picture, peacetime looks complicated. Washington, D.C.’s ban on American companies doing business with ZTE, another Chinese telecom, severely damaged that company. Huawei, even with its global reach, will also feel U.S. pressure. But two can stumble in this dance. According to The Wall Street Journal, Huawei bought $10 billion in components from U.S. companies last year. Intel and Micron Technology are Huawei suppliers. Huawei phones are sold on Amazon. It would be better to find a way out where both countries — the world’s two largest economies — could feel fairly treated and agree to rules of the road in the new information age. However this turns out, we will wish American companies had spent more on R&D and less on rewarding shareholders through stock buybacks.